﻿ Your Privacy. WinTools.net - software tools for MS Windows. While you are working on your computer the system monitors the so called "history" and saves it. All information about your work in the Internet - when and which sites you visited, of what content, which programs downloaded, with which documents you worked, which and whom you wrote, what you looked for, which folders you opened, what computers you connected to - all that and a lot of other information is left on your computer. 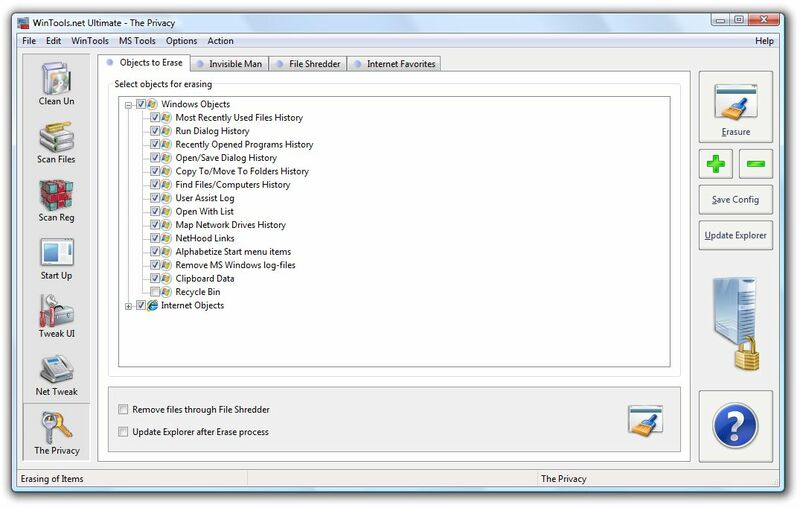 Any person who has an access to your PC can easily access this information and monitor practically your every step. Besides he/she can collect compromising information about you. In that situation confidentiality can not be guaranteed. So much accessible information about you not only destroys your privacy but also slows down your computer. All this information is kept on your hard drive, in the system registry. Besides the history of started programs, history of the search, history of last opened documents is constantly loading by the system and "eats" RAM of your computer.